National Bluebird Conservation and Resurgence Success Started Local. Photo by Jenny Hendershot, a member of the Maryland Bluebird Society, from her home in Washington County. We are so thrilled to report that we’ve had up to eight Bluebirds at one time visiting our feeders here at the store!!! This is almost unprecedented and has never occurred without the pressures of extreme winter conditions. In fact, The Backyard Naturalist is getting increasing reports of Bluebirds at feeders and baths in backyards where they’ve never been seen before. As Spring seems to be coming early this year and Bluebird nesting season is beginning, this is the perfect time to emphasize how successful and amazing conservation efforts have been and that the Eastern Bluebird resurgence continues! You can become a part of it! 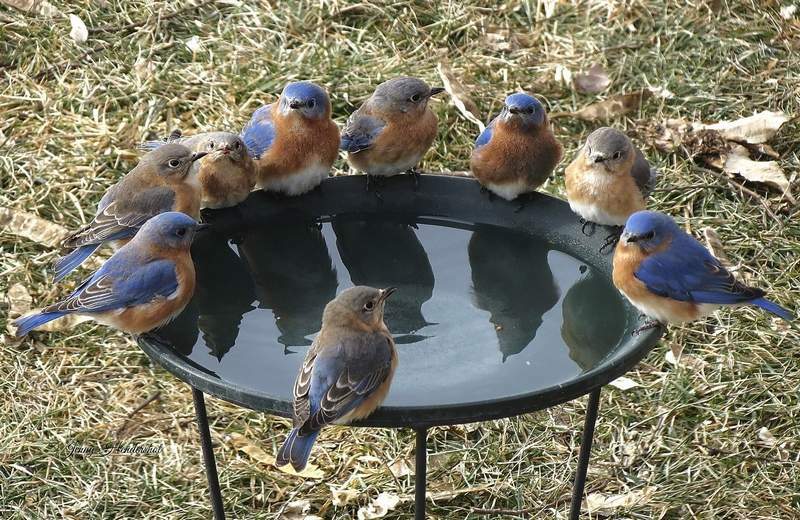 After all, the national Bluebird preservation effort started in our area! In June of 1977, Silver Spring biologist Dr. Lawrence Zeleny stirred a nationwide response to help rescue this species from a serious decline, if not extinction, with his article published by National Geographic, Song of Hope for the Bluebird, followed by his book, The Bluebird: How You Can Help Its Fight for Survival. We are forever grateful to have been mentored by Larry Zeleny and as well as Mary Janetatos. At that time, Mary was President of the Audubon Naturalist Society in Chevy Chase, and with Larry, co-founded The North American Bluebird Society , serving as executive director. It all started in her home in Silver Spring, almost 40 years ago, March 20th 1978. We were lucky to have been adopted by these amazing experts when we began The Backyard Naturalist store in 1989. Quite simply, we feel we have learned from the best and are honored to be able to share their knowledge with all of you. Let’s keep this inspirational conservation story moving forward! You can help support local Bluebird conservation efforts by joining the Maryland Bluebird Society and nationwide conservation by also joining the North American Bluebird Society. 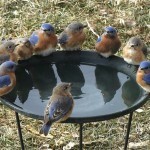 If you are blessed with Bluebirds in your area, please visit our dedicated Bluebird resource page. 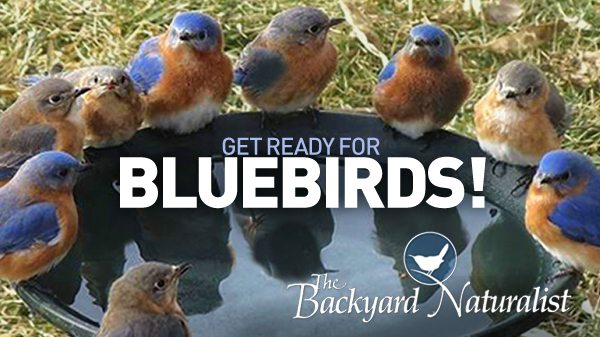 It’s full of advice and resources to help you create a habitat that encourages Bluebirds to nest and raise their families in your backyard. As these beautiful birds have up to three broods during one nesting season, that’s a lot of Bluebird potential! Better yet, just visit us at the store and let us help you get in on the action. For inspiration, watch this National Geographic video of farmer Jack Finch who demonstrates how one person’s conservation efforts can make a big impact. ← Red-breasted Nuthatch Irruption in Maryland!! !